The Fantasy Age Companion is now available from Green Ronin. You can pre-order the hardcopy or buy the pdf version now. 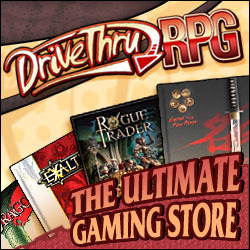 The pdf is also available on DriveThruRPG. It is the third major book for the Fantasy Age line (the other two being the Core Rulebook and the Bestiary), and it includes a bunch of additional material for both players and game masters. The Companion includes a wide selection of new player options. There are 4 new races, 5 new talents, 23 new specializations, a new weapon group, new spells for the existing arcana, and 7 new arcana. The background options are also reworked with 48 different options being provided rather than the 24 in the Core Rulebook. The book also has several player-focused options such as divine stunts. For game masters, the book includes guidelines for handling some new situations. There are rules to cover mass combat that look similar to the rules in Dragon Age. There are mechanics for managing organizations and nations that give organizations their own statistics, actions, and stunts. Vehicle combat, chase scenes, and relationships with NPCs are all also covered. The NPC section includes statistics for 12 different NPC types that could serve as adversaries. Game masters are also presented with numerous options throughout the book that can let them customize the game to match their campaign. There are guidelines for making combat more or less lethal, using action points to make gameplay more cinematic, allowing stunt pools, using minions or mobs, increasing the availability of magic, and introducing powerful magical artifacts. On my initial read through of the Companion, I was really happy to see all of the new character options that were included. Some of these are things that I’ve been eager to see since the core rulebook was released, and I think they will add a lot of new variety to Fantasy Age player characters. The Arcane Dabbler specialization allows Rogues and Warriors to gain a bit of spellcasting ability. Previously, Fantasy Age didn’t have any way for non-Mage characters to learn spells. The Cold arcana fills in a gap in the available spells that I noticed when I tried to build a Final Fantasy inspired mage character. The classic black mage in Final Fantasy can use fire, lightning, and ice spells, but the Fantasy Age core rulebook was missing any sort of ice or cold magic with the water arcana being the closest approximation. A weird omission in the Fantasy Age core rulebook was that it included firearms but didn’t have an associated weapon style talent for them. The Companion fixes that with the Firearms Style talent that gives characters better accuracy, faster reloads, and longer ranges when using those weapons. In Fantasy Age, each character can gain 2 specializations as they advance. The first is gained at level 4 and the second at level 12. The core rulebook only offered 4 specializations per class though which felt pretty limiting. The Companion’s 23 new specializations add a lot more choices. Several of the new specializations also can be taken by 2 or 3 classes rather than being locked to only a single class per specialization like those in the core rulebook. The Game Master material in the Fantasy Age Companion is a mix of material previously seen in the Dragon Age RPG and new content. The mass combat and organization rules are nice abstract mechanics for handling campaigns where the characters take on leadership positions. The vehicle rules looked interesting since they didn’t just treat vehicles the same way as big monsters. Overall this part of the book didn’t excite me as much as the player-focused content since I already own some of it through the Dragon Age RPG and I have access to a lot of other similar advice in my collection of books for other game systems. If you’re playing Fantasy Age, then I feel like this book is almost a must buy to get the extra character options. The GM material seems most valuable if you’re newer to GMing or if you know your game will include the players leading armies or organizations.